Not So Cli-Shéa: Bachelorette Weekend! 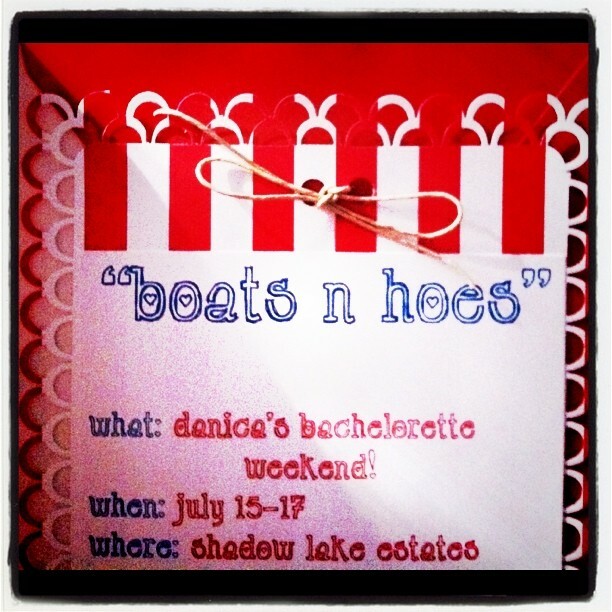 Danica's "Boats N Hoes" Bachelorette Party weekend! Hope you all have a great weekend and stay off the 405! Now you girls don't do anything I wouldn't ; ) Hope you have a great time! I'm sure you'll create some wonderful memories for Danica on her last weekend as a single girl!